May 10, 2018, 11:07 a.m.
By Shan Wang @shansquared May 10, 2018, 11:07 a.m. Medium has informed publishers using its platform to offer paid memberships that it’s ending that feature. An email at the end of last month from Medium’s head of partnerships Basil Enan told publishers that the company was planning to discontinue memberships in May. “We were among the first to sell memberships on Medium, among the few local organizations working with them,” Chris Faraone, founder of the Boston Institute for Nonprofit Journalism, told me. “We’ve had an arrangement with them for two years. I’m not saying they don’t have a right to break it. We’ve been scaling back, trying to get people to other platforms anyway. But it’d be nice to have more of a heads up.” (Faraone also works as the news and features editor of alt-weekly DigBoston.) “Our experience in dealing with a lot of these tech-oriented operations is that there’s some good reception, but in the end, it’s whatever their whim is. BINJ, which commissions freelancers, copublishes their work with both local and national outlets, and puts much of that work up on its Medium site, has about 100 paying supporters, Faraone said. When one of those members forwarded an email saying their membership was canceled and not being renewed, Faraone said it was the first notice he’d gotten that something had changed. About two dozen publishers are being affected by this change, a Medium spokesperson told me. Any publishers who asked for extra time before the shutdown got more time to deal with telling their paying members and try to move them elsewhere, according to Enan. After each strategy shift at Medium, partner publishers have said they felt the rug being pulled out from under their feet, with no notice. In the spring of 2016, Medium rolled out a suite of tools for publishers and attracted big names like Bill Simmons’ The Ringer and California magazine Pacific Standard, along with beloved indie outlets like The Awl Network, Film School Rejects, and Femsplain. All of these publishers have migrated off Medium (most depressingly, The Awl and Hairpin aren’t around anymore at all). Publishers like BINJ that were collecting their own memberships through Medium couldn’t benefit from any revenue through “claps” on their stories. 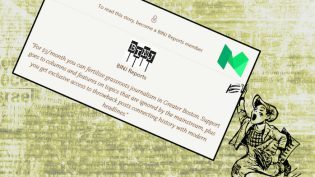 On occasion, readers of those publications expressed confusion about whether they were signing up for Medium’s own membership, or the membership in support of a particular publication — this, Enan said, was part of the reason Medium moved to end the feature for partner publications. No publication has been burned worse throughout these changes, perhaps, than The Establishment, which had been wooed to move off WordPress and entirely onto Medium, and migrated all its content the same day Medium announced its drastic changes early last year. “I shan’t lie to you, gentle reader — it was a dark and shocking day for The Establishment,” cofounder Kelley Calkins wrote at the time. Now, it’s at a precipice again. 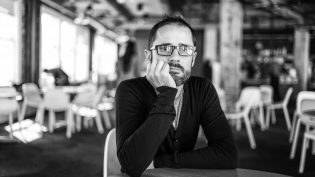 Further rankling indie publications this week, Medium CEO Ev Williams spoke to The New York Times at length about the various ills of internet publishing and Medium’s efforts to address them. Williams had sent the Times a two-page document he’d written about why ad-based models are bad for supporting creative work online and calling for solutions. There wasn’t much in the “mini-manifesto” or the Times followup that Williams hadn’t already put forth many times before, through interviews and on Medium. The internet may have a short memory, but it’s not that short. POSTED May 10, 2018, 11:07 a.m.
Wang, Shan. "Medium abruptly cancels the membership programs of its 21 remaining subscription publisher partners." Nieman Journalism Lab. Nieman Foundation for Journalism at Harvard, 10 May. 2018. Web. 18 Apr. 2019. Wang, Shan. "Medium abruptly cancels the membership programs of its 21 remaining subscription publisher partners." Nieman Journalism Lab. Last modified May 10, 2018. Accessed April 18, 2019. https://www.niemanlab.org/2018/05/medium-abruptly-cancels-the-membership-programs-of-its-21-remaining-publisher-partners/.